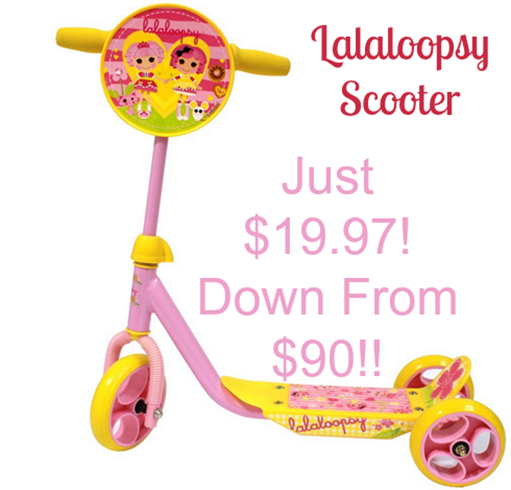 Lalaloopsy Scooter Just $19.97 Down From $90! You are here: Home / Great Deals / Amazon Deals / Lalaloopsy Scooter Just $19.97 Down From $90! WOW! What a great deal! Grab this Lalaloopsy 3 Wheel Scooter for just $19.97 down from $90!! If you have a Lalaloopsy fan in your house what a huge hit this would be!